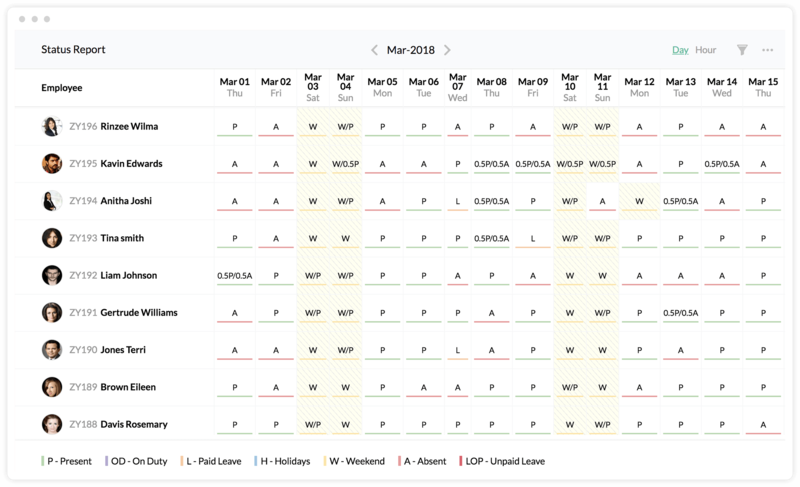 Knowing your employees absences in real time will help you plan the day ahead. 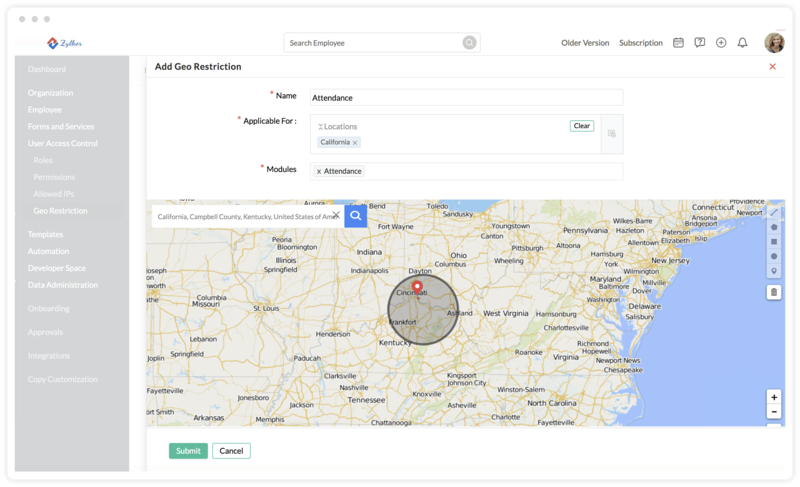 If you have a mobile workforce, then employees can mark attendance from anywhere with IP and Geo-restrictions. Integrate with biometric devices and get reports that help you make better decisions. 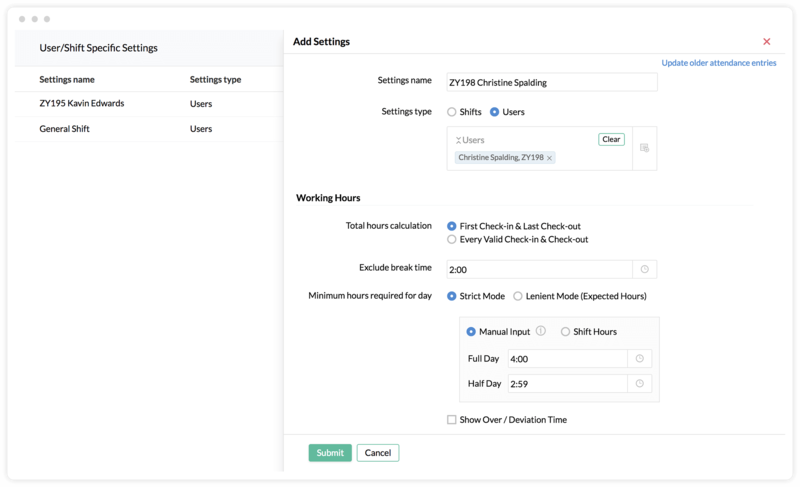 With check-in and check-out options both on web and mobile, Zoho People makes it easier for your employees to clock their hours. Need to validate employee check-ins that happen outside the office? We offer geo-tracking in the attendance module to enable employees to check-in from various locations. Specify break hours, and whether they're paid and unpaid, to better study employee attendance. 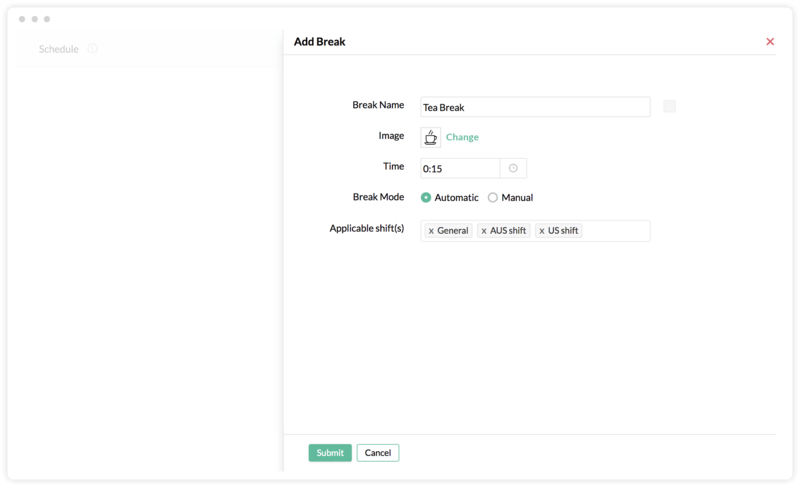 Set different break times, either manual or automatic for different shifts, and calculate working hours. See the specifics for each employee with flexible, user-based settings. 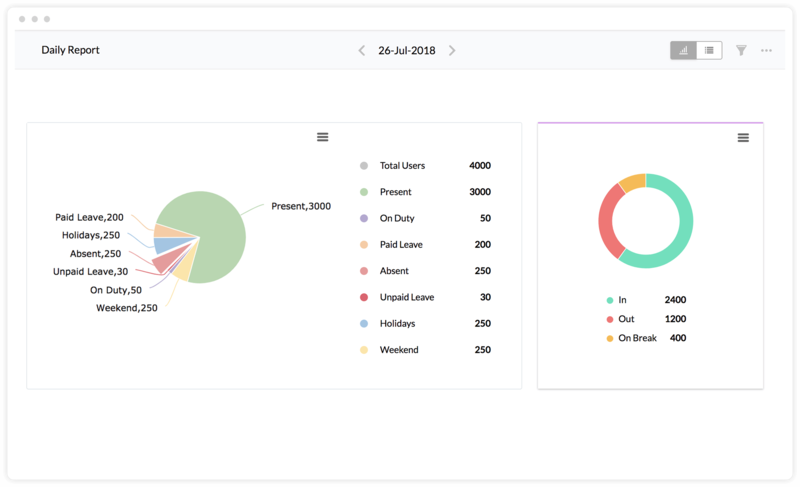 Set shifts for each employee, map IDs to biometric devices, or just manage your roster, all from Zoho People. 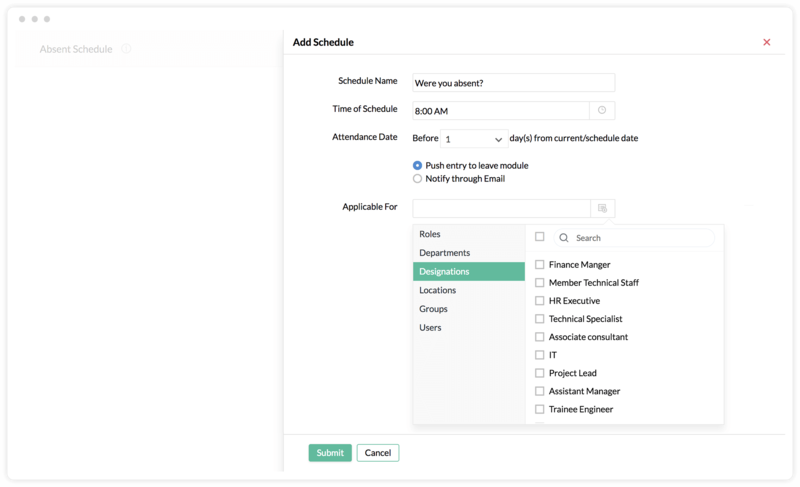 Save yourself time and effort with our absence scheduler; it will easily convert absences to leaves so you don't have to spend time manually calculating. 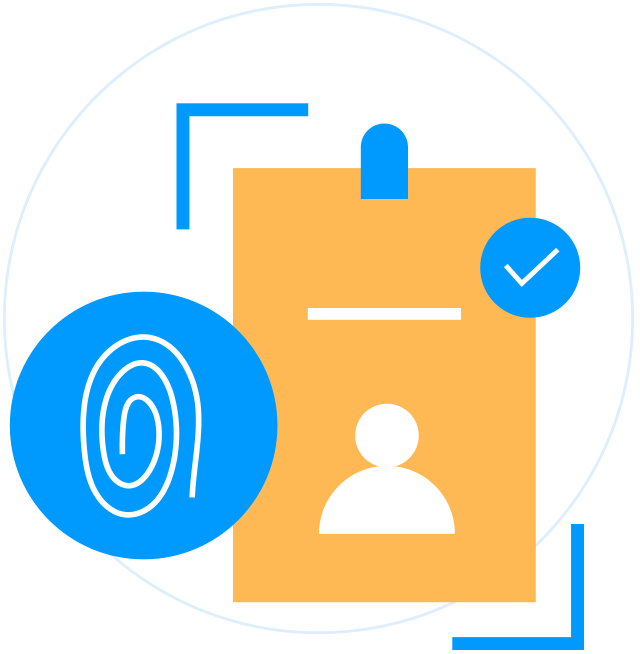 Integrate your Zoho People account with the APIs we provide, and you can capture employee check-in and check-out using biometric or other attendance devices. Get graphical reports that will give you attendance summaries by day or by hour. See reports for individual employees, or for entire teams. 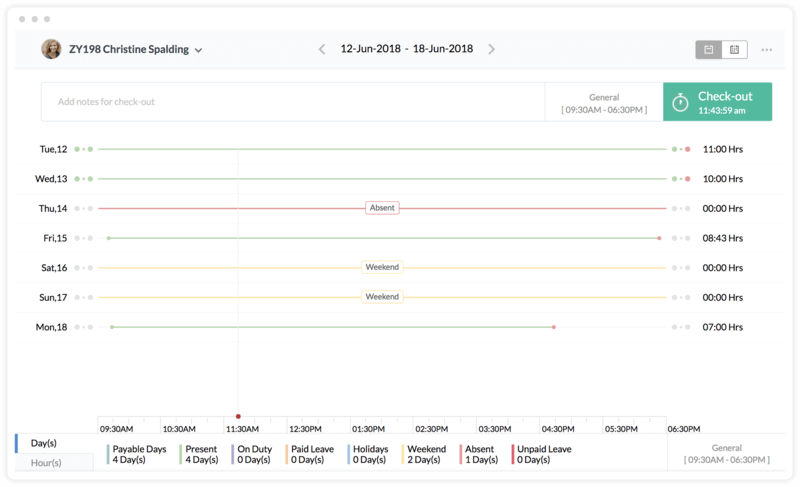 Filters for custom date ranges, shifts, locations, and more, will help you drill down even deeper.